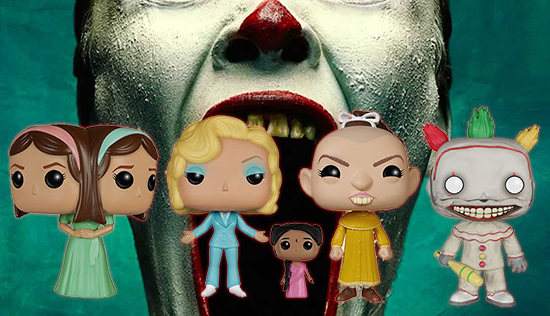 For the 2015 Funko Pop American Horror Story: Freak Show vinyl figures, forget about cute. 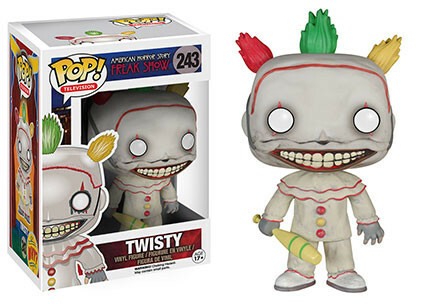 The is, unless nightmare-fuel clowns bring you serenity. The four-figure lineup includes some of the wilder creations the Pop! line has seen. Based on the fourth season of the anthology show, the visuals are like a modern take of the classic 1932 film, Freaks. Depending on how you look at it, there are actually five figures to collect. 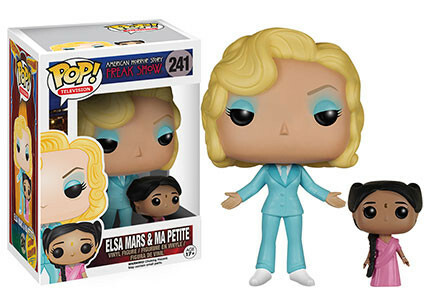 Based on the character played by Jessica Lange, Elsa Mars is the most basic of the sculpts. However, she comes with a second smaller Pop!, Ma Petite. 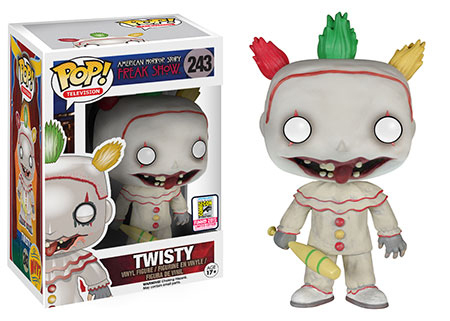 Other figures in the 2015 Funko American Horror Story: Freak Show lineup include the conjoined Tattler Twin, Pepper, and Twisty the clown. The figures are included in the Pop! Television line. 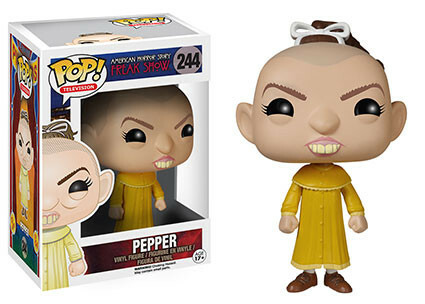 American Horror Story Freak Show Pepper Funko Pop (Vaulted). 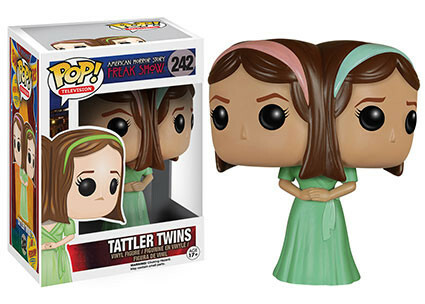 Funko Pop TV Tattler Twins 242 American Horror Story Freak Show. Retired Rare! Jessica Tandy? I think you’ll find Elsa Mars was played by Jessica Lange.